Cairo: A water crisis brewing between Egypt, Ethiopia and Sudan over a contentious Nile dam could escalate into a conflict with “severe humanitarian consequences”, a think-tank said on Wednesday. Egypt, which relies almost totally on the Nile for irrigation and drinking water, fears the Grand Ethiopian Renaissance Dam being built on the Blue Nile could reduce its water supplies. Talks on the issues have been deadlocked for months. “The case for cooperation among Egypt, Ethiopia and Sudan in resolving the Nile water dispute is unambiguous,” the International Crisis Group think-tank said. “All stand to benefit. Dangers of failing to work together are just as stark. “The parties could blunder into conflict, with severe humanitarian consequences,” it warned. The dam project launched by Ethiopia in 2012 is designed to feed a hydroelectric project to produce 6,000 megawatts of power, equal to six nuclear-powered plants. 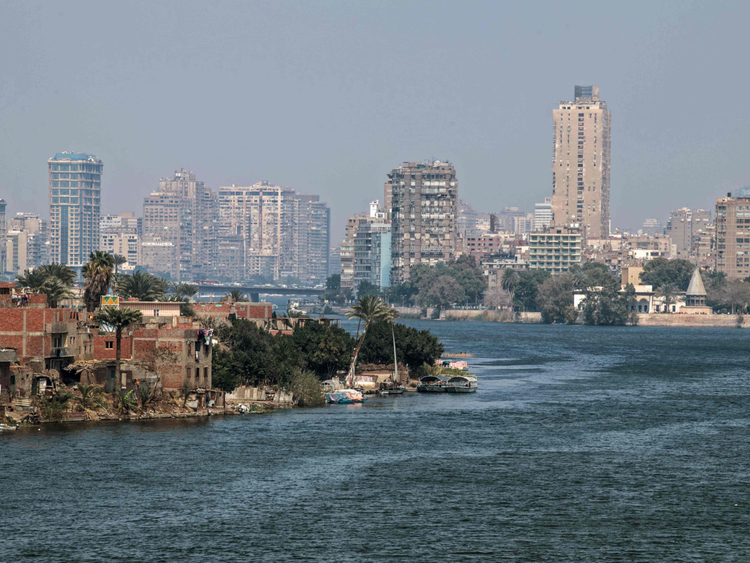 Egypt depends on the Nile for about 90 percent of its needs for irrigation and drinking water, and says it has “historic rights” to the river guaranteed by treaties from 1929 and 1959. The river, which runs through 10 countries, is Africa’s longest and a crucial artery for water supplies and electricity for all the countries. The Blue Nile takes its source in Ethiopia and converges with the White Nile in Sudan’s capital Khartoum to form the Nile which runs through Egypt to the Mediterranean Sea. “The Nile basin countries could be drawn into conflict because the stakes are so high: Ethiopia sees the hydroelectric dam as a defining national development project; Sudan covets the cheap electricity and expanded agricultural production that it promises; and Egypt perceives the possible loss of water as an existential threat,” it said. The report recommends a two-step approach, beginning with confidence building measures “by agreeing upon terms for filling the dam’s reservoirs that do not harm downstream countries” and “a new, transboundary framework for resource sharing to avert future conflicts”.